At last, it is friday !! Yahoooo! What a hard week have been this one, I had to make a lot of hats, scarfs, tops … I have been knitting, and knitting and knitting all days long!!! I’m very tired and exhousted! Horrible!Well, but the weekend is coming, and I don’t think to do anything! I’m going to relax during the entire weekend – I’ll go to the beach if there is some sun. Also I want to go to the cinema and I definetely want make a lot of sushi… but A LOT !!! 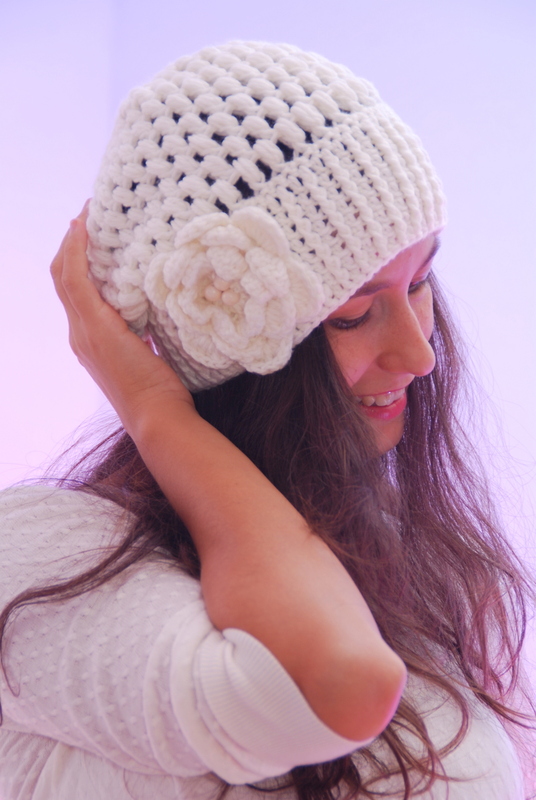 And here goes my new work – very romantic crochet hat, decorated with a beautiful flower. Hope you like it.